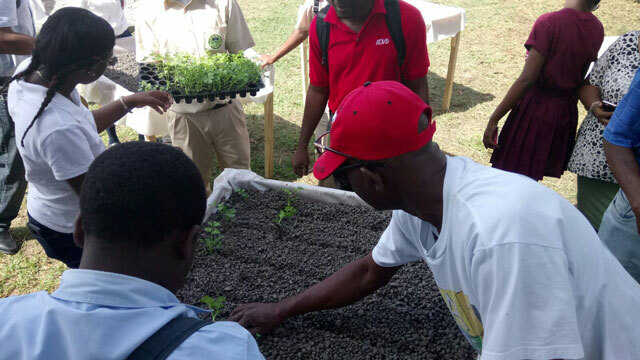 The Inter-American Institute For Cooperation on Agriculture (IAICA) in collaboration with the Department of Agriculture on Friday, Feb. 5 hosted a hydroponic, low cost workshop in Nevis. 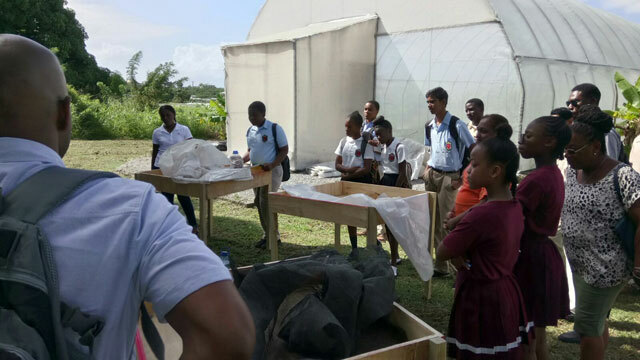 The workshop, held in the agricultural conference room at Prospect, was attended by students from Ivor Walters and Elizabeth Pemberton Primary Schools and the Charlestown and Gingerland Secondary Schools. Permanent Secretary in the Ministry of Agriculture Erick Evelyn explained the importance of the one day workshop. “It is important in the field of agriculture that persons are exposed to various levels of technology. We here in Nevis have to be able to compete. Of course we know a lot of the food that we consume comes from overseas and it is important that we here on Nevis are able to produce more of what we consume. 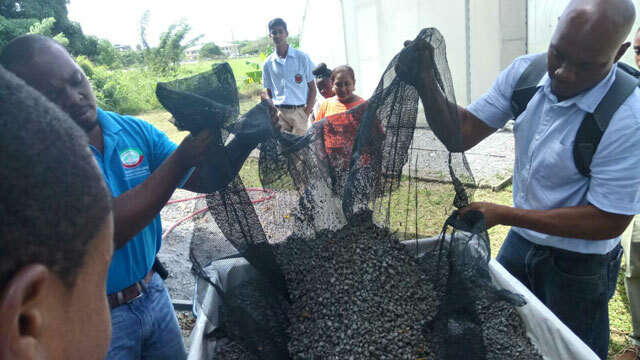 And so this workshop is in an effort to continue to ensure that we have food security here in Nevis and in the Federation,” he said. IAICA representative for St. Kitts and Nevis, Augustine Merchant, also gave brief remarks. He said people should grow their own foods and stop depending so heavily on outside markets. He stated that the quality of crops grown in both St. Kitts and Nevis could compare with anything obtained from outside so quality is not the problem. All that is needed is for persons to acquire the mindset that it is very important to produce what they need. The hydroponic workshop which centered on the planting of crops in any substrate with the exception of soil, also had a hands-on, practical component. After the ceremony, students were given the opportunity to construct the system itself. The structures consisted of a 3×3 surface area on top of wood of lengths 2 or 3 feet off the ground which was laid with plastic and gravel stone as the substrate. Acting Director of the Department of Agriculture, Randy Elliot said the information and technology from the workshop were things that the Department wanted the children to take to their homes, to their parents and to their peers. In speaking with The Observer, he said the systems are low cost unlike the ones seen online, and that it is hoped they will be very beneficial on Nevis. “We had four structures built so one would be staying with the Ministry. The others will be distributed to the schools with hope that for the primary school the product from that could feed into their feeding program. And from the high schools that is would also assist them in terms of their SBA’s and just for a new culture as it relates to production. The crops that we grew, the crops that we put in were just lettuce and celery,” he added. Chief Extension Officer Walcott James chaired the opening ceremony. Facilitator of the workshop Jeremy Joseph who is responsible for new and innovative technology IAICA encouraged participants to learn as much as they can from the day’s session and to practice the skills and knowledge they acquire so that they could impart their knowledge to other students.